This year, Anheuser-Busch brought its biggest moments to life at the SXSW Trade Show. 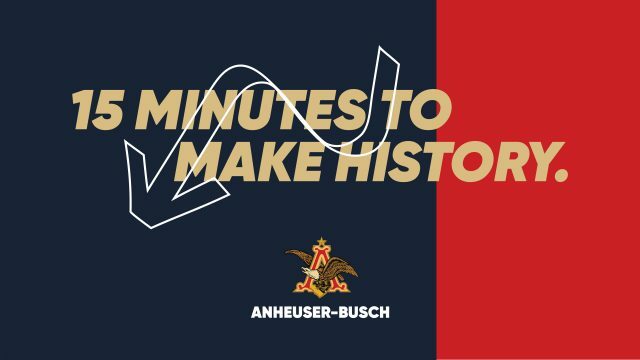 Through an Escape Room experience, Anheuser-Busch invited SXSW-goers to complete challenges inspired by real-life situations employees have conquered at Anheuser-Busch, which have led to some of the company’s proudest moments. The SXSW Trade Show was only the beginning. This innovative Escape Room Challenge was launched at SXSW but will continue on a cross-country tour to multiple campuses. “This year we challenged ourselves to think beyond the standard (and often limiting) 10×10 career fair booths to create a more innovative and experiential way to sample what it’s like to work at Anheuser-Busch. After all, picking a career is an important decision so we’re striving to make it more tangible,” says Alexis Smith, Anheuser-Busch Director of Employer Branding & Digital, North America. This pioneering approach is set to provide interested candidates the opportunity to sample Anheuser-Busch’s Culture. It allows job-seekers the opportunity to experience what it’s like to work at Anheuser-Busch. The escape room brought together teams of SXSW-goers, many of whom didn’t know each other, and gave them the opportunity to tackle some of the company’s biggest obstacles, celebrating their greatest wins, and experiencing first-hand how Anheuser-Busch propels itself forward. All in 15 minutes! Anheuser-Busch plans to deliver this escape room experience across the country to select campuses. Be sure to follow @AnheuserBusch along their recruitment journey! Companies don’t make history, people do.